After pushback from financial institutions, in May of this year FinCEN announced a 90-day delay to the new requirement that financial institutions collect beneficial ownership information for certain products that automatically renew or rollover. The 90-day delay was then stretched another 30 days in early August 2018. On September 7, 2018, FinCEN issued FIN-2018-R003, making the relief permanent. Financial institutions will not have to collect beneficial ownership information for a rollover of a CD; a renewal, modification, or extension of a loan that does not require underwriting review and approval (e.g., extending payoff date); a renewal, modification, or extension of a commercial line of credit or credit card account that does not require underwriting review and approval (e.g., extending payoff date); and a renewal of a safe deposit box rental. Please contact Christopher Rahl or Margie Corwin for more information on this topic. In a decision that should be of interest to the FinTech lending and factoring industries, the United States Bankruptcy Court for the Northern District of Illinois held that payments to a merchant cash advance (MCA) firm during the 90-day bankruptcy preference period could not be clawed-back by a trustee under the Bankruptcy Code. Under the facts, the defendant purchased $176,000 of the debtor’s future receivables for $125,000 prior to bankruptcy. The defendant was authorized to debit the debtor’s bank account each week in an agreed upon amount until the $176,000 was paid. By the time of bankruptcy, the debtor had remitted $113,000 of the $176,000 to the defendant of which $39,000 was paid during the preference period. All payments were made from cash in the debtor’s bank account regardless of whether the cash was collected from a receivable purchased by the defendant. The court made certain findings that may have application to other financing or factoring transactions. First, the court upheld the structure of the transaction by finding that under New York law the transaction was not a “loan” but rather a purchase of accounts receivable. Nevertheless, the court also held that the debtor’s payments were made on account of an antecedent debt (one element of a preference claim), because the defendant was a “creditor” of the debtor when they were made. The court found that the debtor-creditor relationship was created when the debtor agreed to pay the defendant an agreed amount from future receivables. Second, notwithstanding that the trustee had established the elements of a preference, the court held that the trustee’s claim was barred by the “ordinary course of business” defense under Bankruptcy Code §547(c)(2). Under that defense, a payment made in the ordinary course of business between the parties may not be avoided as a preference. 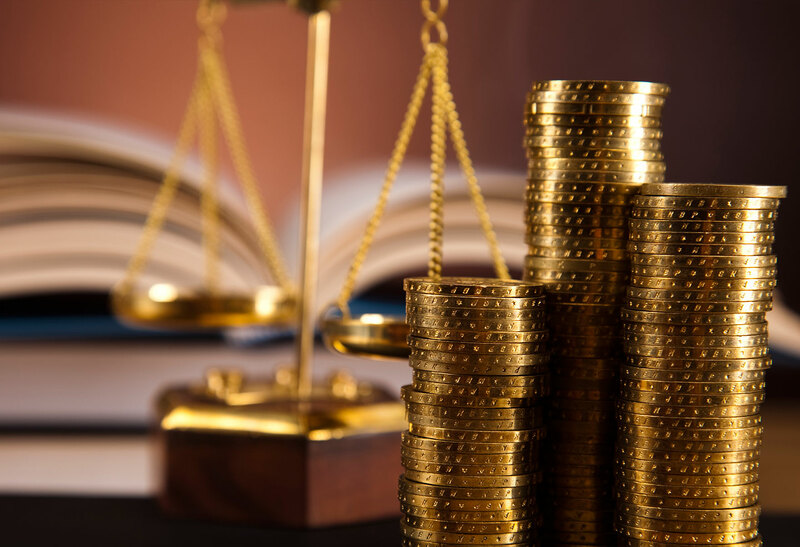 The court considered the consistent course of dealings between the parties over an extended time frame, the fact that the MCA agreement was being performed according to its terms, and that the debtor regularly obtained capital from other MCA firms over a two year period. Although payments were not being made to the defendant from the specific receivables that it purchased, the court did not consider the source of the payments to be fatal to the defense. Since the facts of the case were not unique, the court’s analysis of the ordinary course of business defense may be helpful to other lenders and factors who are defending preference claims made in connection with similarly structured financing transactions. For further information, please contact Larry Coppel. We often are asked if there is an up-to-date reference source for regulatory record retention requirements. Providing record retention information, regarding both federal and Maryland laws, for certain products (e.g., deposit accounts or residential mortgage loans) is not difficult. However, we have yet to find an up-to-date comprehensive reference source, which reflects federal and state law that is a “one-size-fits-all” for the variety of products and services our clients provide. It is a matter of identifying all applicable laws and then organizing the record retention requirements into a manageable format. In its most recent Consumer Compliance Outlook publication, which can be found here, the Federal Reserve System makes available a list of record retention requirements for many federal consumer protection laws and regulations. While this list does not identify all laws and regulations a particular financial services provider will need to consider in developing a record retention policy, it is a great resource. Please contact Margie Corwin or Chris Rahl with questions about record retention issues. The Board of Governors of the Federal Reserve System (FRB) recently published a Consumer Compliance Supervision Bulletin highlighting current consumer compliance concerns, one of which involves overdraft practices. The FRB indicated that some financial institution overdraft program and promotions present unfair or deceptive practices risk because of misleading omissions or representations in how the program is promoted and where third party software is used to process transactions resulting in overdraft charges. The FRB Bulletin indicated that it is an unfair or deceptive practice to approve a point-of-sale signature-based debit card transaction and then assess an overdraft charge when the transaction is later posted by the merchant. It is unclear how a financial institution could guard against this type of situation where a point-of-sale transaction may be authorized on day one but not finally posted until day three, because other debits from the consumer’s account that the financial institution did not know about when approving the point-of-sale transaction could be posted on day two—except to avoid charging any overdraft fees for point-of-sale transactions that have been approved even if insufficient available funds are in an account when the approved transactions are finally posted. The FRB listed these steps to manage overdraft risk: (1) exercise appropriate vendor management; (2) understand the financial institution's overdraft processing methodology and ensure that the financial institution does not provide incorrect information to consumers about that methodology; (3) refrain from assessing unfair overdraft fees on point-of-sale transactions when they post to consumers' accounts with insufficient available funds after having authorized those transactions based on sufficient available funds; and (4) review applicable overdraft guidance to consider implementing best practices, such as setting limits on the overdraft fees charged to consumers and monitoring for consumers' excessive use of overdrafts. Please contact Christopher Rahl for questions concerning this topic. All securities offers and sales must be either registered under the Securities Act of 1933 (Securities Act) or exempt from such registration. Rule 701 promulgated under the Securities Act provides a registration exemption for securities offers and sales under certain compensatory benefit plans (e.g., stock option and other equity compensation plans) or written agreements relating to compensation. The exemption is available only to companies that do not file reports under the Securities Exchange Act of 1934. If the aggregate sales price or amount of securities sold by a company during any consecutive 12-month period exceeds $5 million (indexed for inflation), then Rule 701 requires the company (among other conditions) to provide investors, prior to investment, with a summary of the material terms of the plan (or, for plans subject to ERISA, the summary plan description), information about the risks associated with an investment, and certain financial statements. In its Release No. 33-10520, the SEC amended Rule 701 by increasing this dollar threshold for disclosure to $10 million. The amendment, which became effective on July 23, 2018, was mandated by the Economic Growth, Regulatory Relief, and Consumer Protection Act. Please contact Andy Bulgin to discuss how this amendment might impact your company’s equity compensation practices. As reported in our 2018 Maryland Laws Update, beginning October 1, 2018, a new Maryland law allows Maryland mortgage loan brokers to receive increased compensation (called “finder’s fee”) when brokering another loan on the same property within 24 months. Prior to October 1, 2018, the same broker obtaining a mortgage loan with respect to the same property more than once within a 24-month period may charge a finder’s fee on the subsequent loan based only on the amount the subsequent loan exceeds the initial loan amount (that is, the broker may charge a finder’s fee based only on “excess” cash out). Beginning October 1, 2018, while the law retains a 24-month limitation on fees, it allows the broker to aggregate the finder’s fee collected in the initial loan transaction with the finder’s fee to be collected in the subsequent loan transaction. That aggregate compensation may be up to 8% of the initial loan amount. It is worth noting that the Maryland Commissioner of Financial Regulation issued an Advisory in February 2018 providing examples of fees that the Commissioner believes to be “finder’s fees” for Maryland law purposes and included in those fees certain lender-paid broker fees. Please contact Margie Corwin if you would like to discuss this subject.